~ That baby John leaped in Elizabeth’s womb at Mary’s greeting. ~ That Elizabeth knew Mary was pregnant. ~ That Zechariah’s voice returned at the naming of John. ~ That Joseph took Mary to be his wife even though she was pregnant. ~ That Mary labored the birth of the King of Kings in a cave. 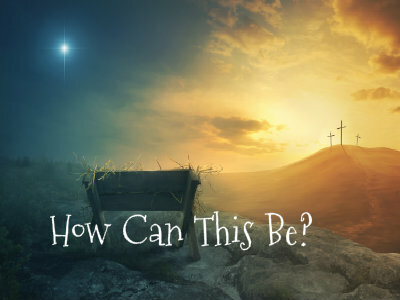 Through the years I imagine there were many more “How can this be?” moments, especially when the time came for Jesus to fulfill his purpose in this sinful, fallen world. It begs the same question from us all... How can this be? That Jesus would die for me? I’m forgiven because you were forsaken. I’m accepted, you were condemned. Amazing Love... How can it be? That You, my King would die for me? Amazing Love... I know it’s true And it’s my joy to honor you. Remember this, you are loved, and you are always in my prayers.